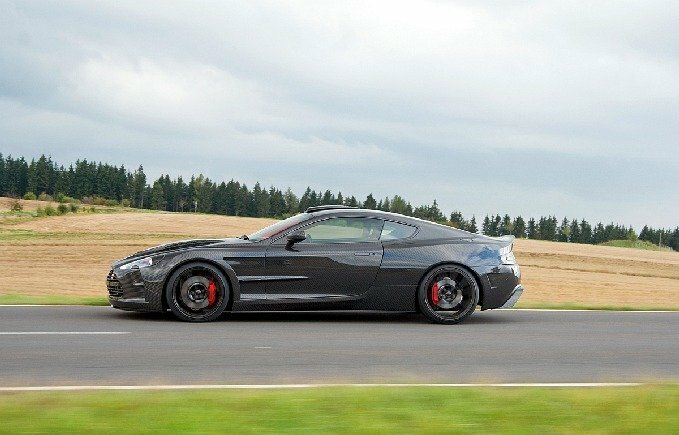 Here are the latest spy pics of the next-generation Aston Martin DBS hiding under camouflage, seen here undergoing handling testing at the Nordschleife in Germany. 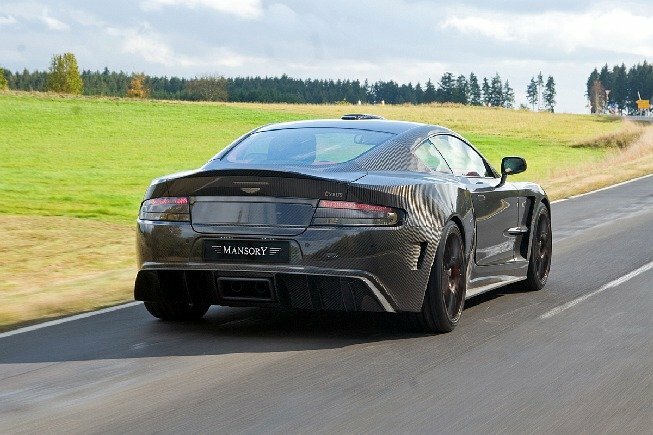 The car is wearing detail camouflage around the rear to hide its one-77 inspired curves, but we can clearly see the new light clusters based on the Virage and Rapide. 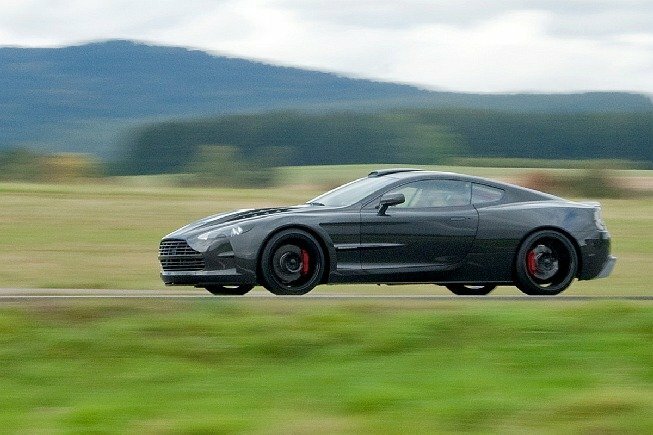 Powering the next James Bond car will be a 6.0-liter V12 engine but will get one-77 tuning to deliver about 530 HP. 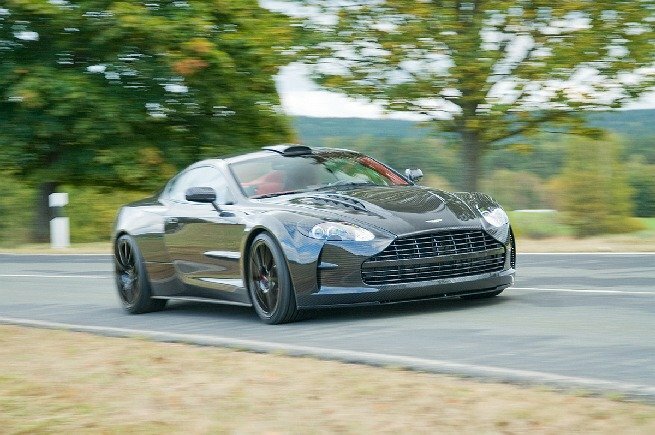 Also with the chassis weight reduction targeting around the 1350kg this will be some formidable super car. 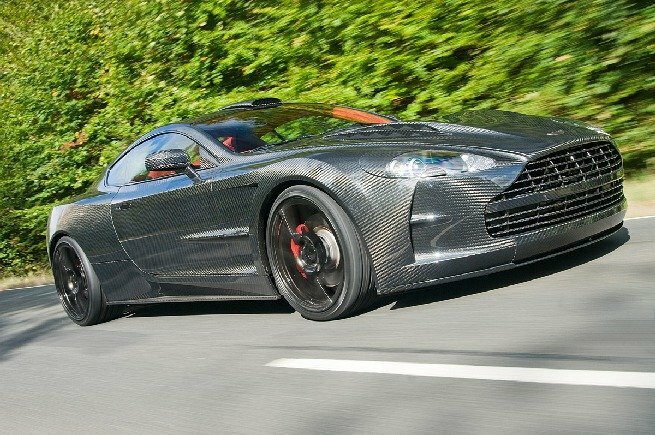 Another Carbon based offering on show on the Mansory Stand at the 80th Geneva Motorshow. 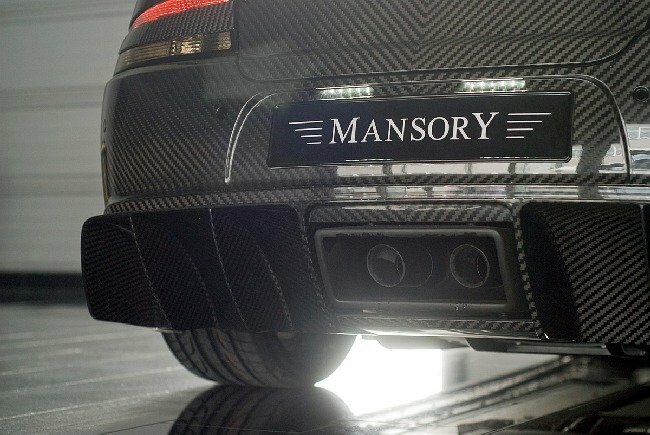 Already for more than 20 years, the Bavarian company MANSORY has been developing and producing fascinating car modifications for demanding customers all over the world. 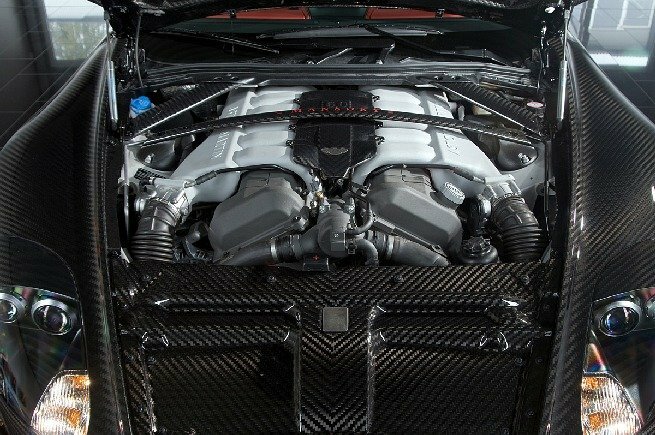 The latest creation of the refinement manufactory is called MANSORY CYRUS and can optionally enhance Aston Martin DB9 or DBS automobiles. 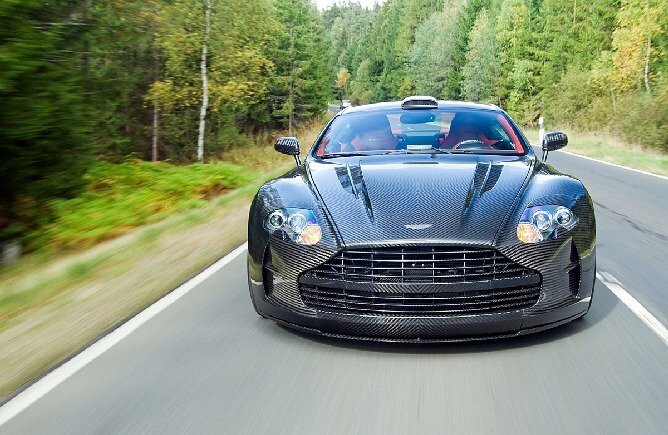 Perfect processing and elaborate technology are the hallmarks of this exclusively tuned car which is limited to only 15 pieces. 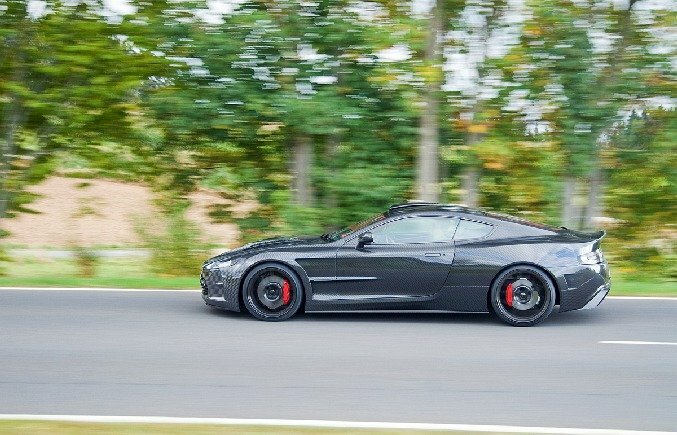 A coilover suspension provides the best road holding and emphasises the striking rims in XXL. 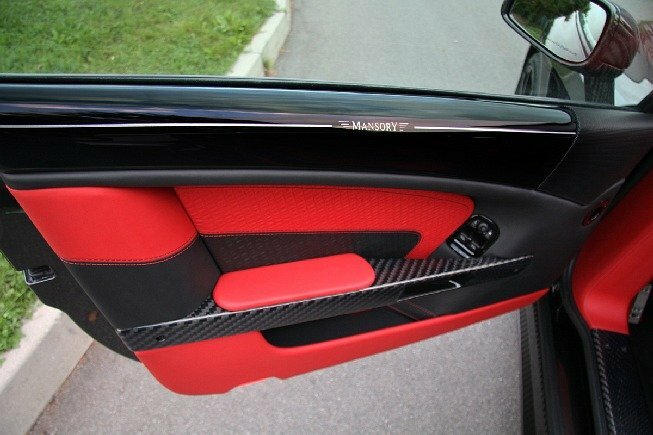 The refinement is perfected by an exclusive interior programme. 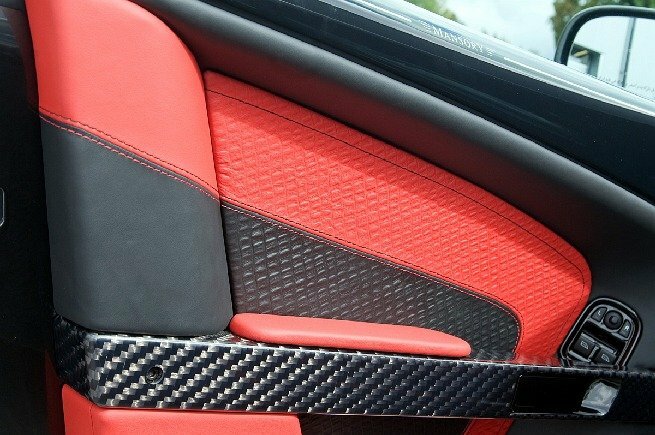 Haute Couture on wheels Tailor-made processing and perfect surfaces confirm the superb quality of the MANSORY carbon outfit with the eye-catching gold-texture. 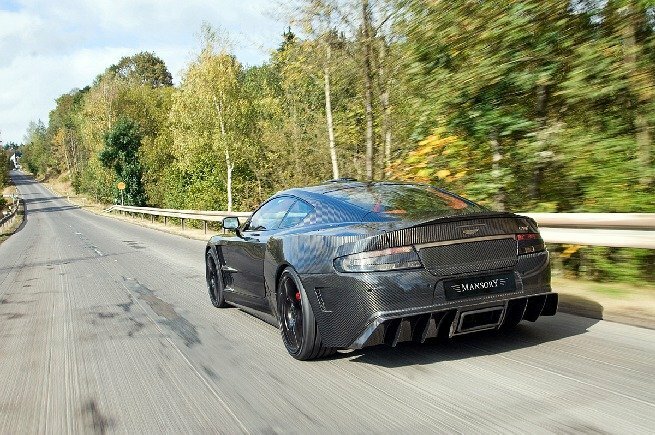 The CYRUS aerodynamics components are made of extremely light „prepreg autoclav carbon“ and do not only include wing extensions for the front and back, but also side skirt attachments and linings. At the front axle, a newly designed front skirt with enlarged air inlets provides the optimal ventilation for the twelve-cylinder aggregate. 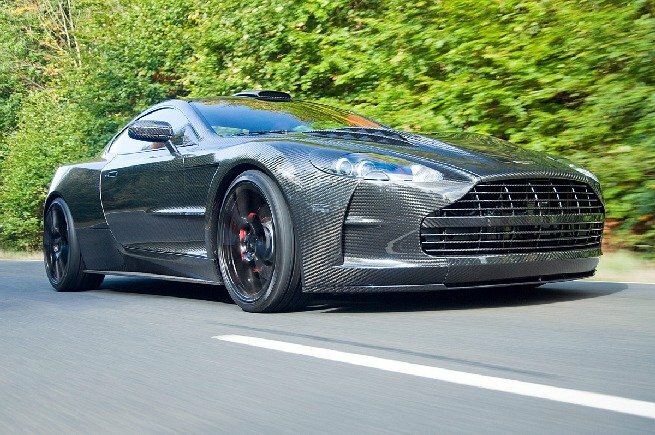 The CYRUS front is visually enhanced with the newly designed carbon bonnet. 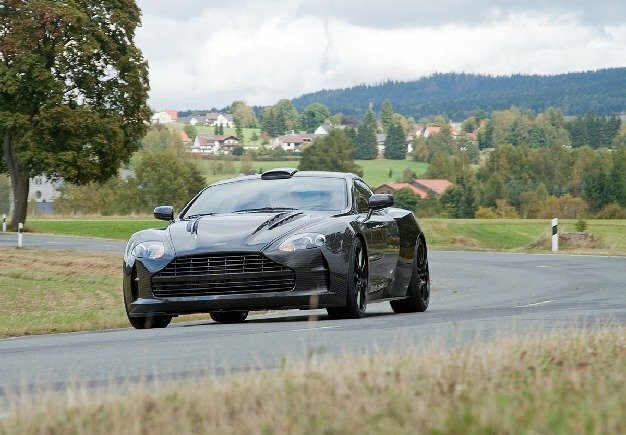 With its two slotted “power domes” additional fresh air is directed to the front motor. 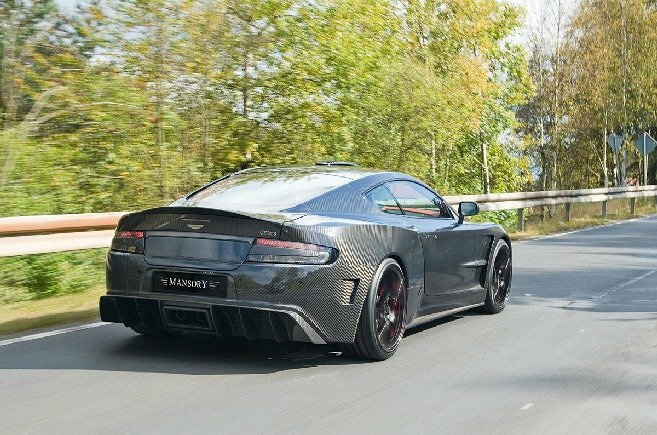 Also at the tail, the refining engineers have invented something extraordinary in order to perfect the visual appearance of the Aston Martin. The newly designed rear skirt with the integrated diffuser emphasises the superior look and provides space for four stainless steel end pipes of the sonorous sport exhaust system. Design wheels in XXL The optimal road grip is provided by the 9×20 and 10,5×21 inch rims in combination with Dunlop Sport Maxx tyres measuring 255/30ZR20 at the front and 295/25ZR21 at the back. 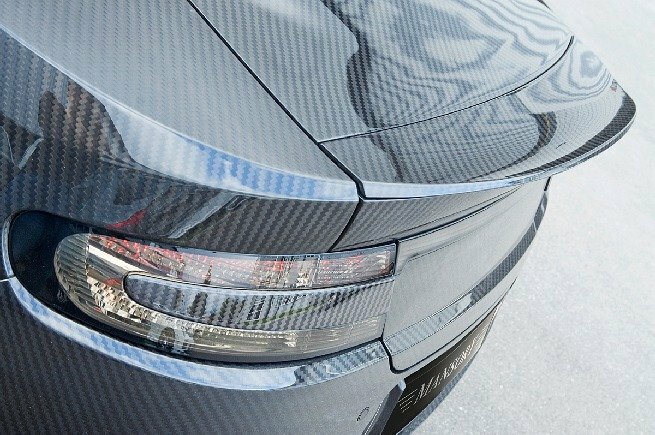 The design of the ultra-light forged wheel thereby unites sportiness and elegance and perfectly fills out the wheel houses. 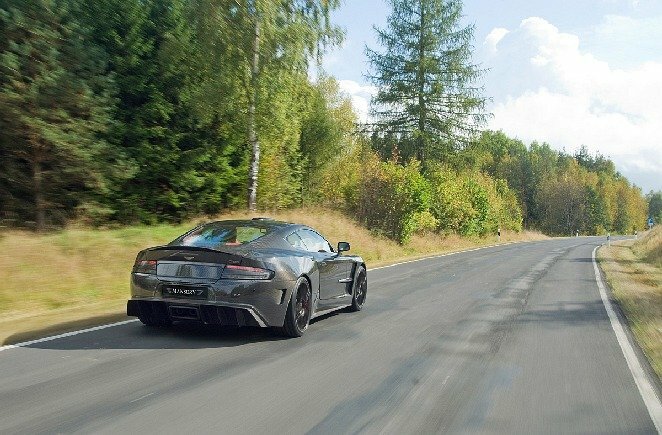 In addition, an optimally adjusted coilover suspension lowers the centre of gravity of this noble sports car and renders perfect road holding characteristics.